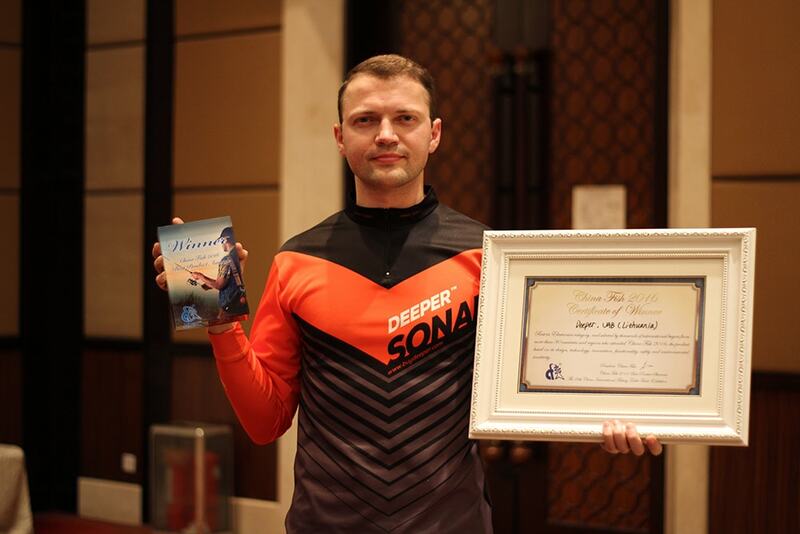 Deeper Smart Sonar is successfully picking up significant international awards and surely is gaining ground among world’s most popular echo-sounder producers. The most recent appreciation came from the top Asian fishing tackle trade show China Fish 2016 where Deeper Smart Sonar was selected as the Best Electronic device for modern angling. The prosperous performance at China Fish 2016 was an important strategic accomplishment to set Deeper Smart Sonar products in Asian market. China market differs from the one in Europe or U.S. where Deeper Smart Sonar is operating successfully. Its distinctive behavioural traditions and extremely different fishing environment creates a challenge for aspiring business development. That is way Deeper chooses its regional managers with a great accuracy. Most importantly Deeper representatives are speaking the national language that is a crucial factor for smooth and efficient communication. Gathering a team of visionary professionals and showing respect for its global partners it’s what makes Deeper an outstanding international brand challenging the market of smart electronics. Deeper Smart Sonar will be present at the European Fishing Tackle Trade Exhibition EFFTEX 2016, the world’s largest sportfishing trade show ICAST as well as at the Outdoor Retailer Summer Market where all engaged parties will be able to examine a variety of smallest portable echo-sounders and their indispensable accessories.